I remember when I was young and my enthusiasm and curiosity burned bright. I was a happy, healthy and eager to learn more about everything. I was a straight A student and very creative. But under the surface there was a scared, fragile, uncertain and insecure little boy. After a while the flame didn’t burn as bright and the happiness and enthusiasm began to fade. Eventually the flame 🔥 that burned so bright died and the doubt and insecurities took hold. The scared little boy began to search for a place to belong. Searching 🔎 for meaning, purpose, belonging and love. Love from anyone who would offer it. The funny thing is, I never really knew what love was. I’ve experienced the unconditional love that my parents and family gave but that never seemed to be enough. It wasn’t what I thought I was looking for. They tried to no avail to fan the flames and keep me grounded. But the harder they tried the more I resisted and withdrew. Needless to say. I found the love I thought I was looking for in the streets. I thought the streets understood my pain. Only to find out years later that the streets were the cause of my pain and the streets didn’t have no love for me. I sold my soul and just about every thing else in my active addiction. I alienated everyone I came across searching for a love that no one could ever give me. I chased an imaginary dream of what I thought I deserved and developed anger and resentments when those expectations weren’t met. I died a spiritual death and was empty of all feelings, cares and concerns. I became elusive and lived in isolation. I was invisible and wished for death to knock on my door daily. I’ve come to realize today that the love I was searching for was inside of me all along. I was looking for someone to validate my existence and all I had to do was look deep within. What I was searching for was within me and I couldn’t see it. Today I recognize my strength, my worth, my assets and liabilities. I have learned to love others but more importantly to love myself. I have learned that I do not have to settle for less when I know I deserve more. I am learning to walk away from those who are not heading in the same direction as me. I am not that old me who settled because I didn’t think I could do better. I don’t need to be approved or accepted by others in order to feel good about myself. I don’t have to jump through hoops to be a part of. Not today. Today I approve and accept myself. I am grateful for the process of recovery. I am learning how to be who I am meant to be. The flame 🔥 has been reignited. 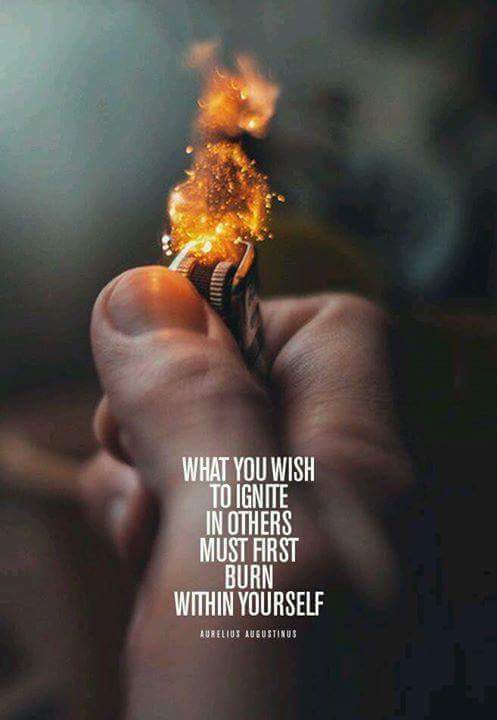 My flame is burning bright and has become a beacon for others. I am thankful that I have been given a purpose, that my experience, strength and hope help others to realize that just because you are down that doesn’t mean that you have to stay down. R. I. P. IS NOT REST IN PEACE. R. I. P. MEANS RECOVERY IS POSSIBLE.